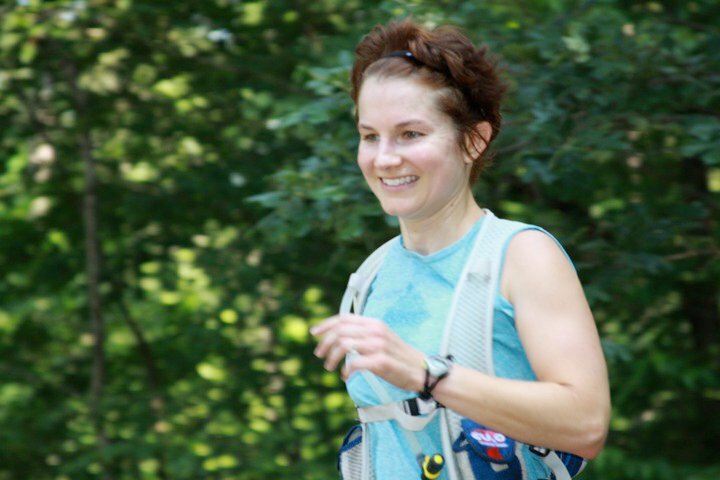 This Race Report is from Marcey, the 2010 Uwharrie Rumble Queen of the Mountain. 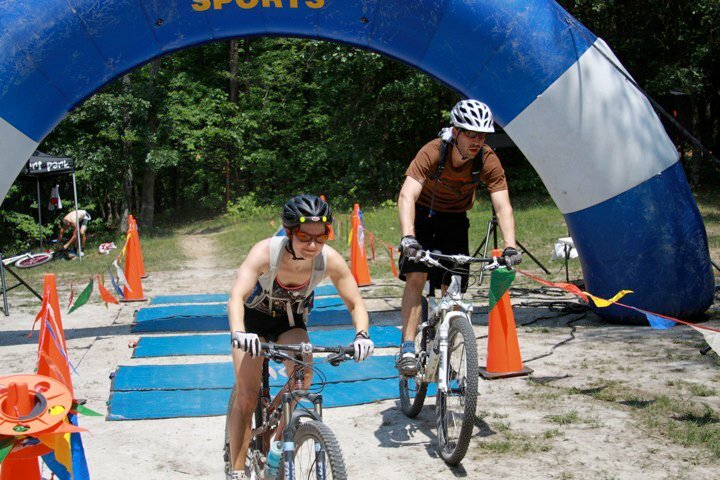 The Uwharrie Rumble was held on May 15-16. Saturday was a 6hr MTB race and Sunday was a trail half-marathon. Both races used the Supertree and Keyauwee trails. My goal was to win the Queen of the Mountain award which was given to the person with the best combined times for the ride and run. I didn't realize until I got to the race how easy this would be. At registration I learned I was the only female signed up to do the race solo and all I needed to do was ride one lap and run the race on Sunday in order to be Queen of the Mountain. Some people would be happy but I don't like to win anything 'by default'. So, I decided I was just going to race it just like I had planned but also have a goal to beat some of the men. I had a great ride and completed five laps, finishing in 5:29:32. All of my laps were within nine minutes of each other and my last lap was my third fastest. I carried all of my nutrition on me and only stopped once during the 5.5 hours to take a quick bio break. I never crashed and was really happy with the way I rode. Since there wasn't a big field, I sometimes had the trails to myself and could just ride and ride. LOVED IT! I ended up beating 40% of the men's field so that was a plus! My prize for winning the solo race was a $125 gift certificate to Middle Ring Cycles in Albemarle. If you ever have a chance to go there, stop by and say hi. The store is very nice and the owner is even nicer. I bought a new helmet and some lights. They have a new logo at the store and a new website www.powered-byyou.com. Check 'em out! We camped all weekend and Saturday night was like every other time in 16 years that my husband and I camped which means that it rained and ended up flooding our borrowed tent because the rain flap became stuck and water poured in all over our sleeping bag. Needless to say, we got very little sleep. I also have a bad habit of 'riding' in my sleep the night after a race so I spent the night jerking around while I was riding over rocks, around switchbacks and over logs in my dreams. Sunday was race day for the half-marathon and thankfully there was a much bigger field. I decided not to have a time goal since I knew I was winning QoM and I didn't want to toast myself prior to my race the following weekend - Falls Lake Challenge. After the second mile, I realized I was feeling pretty good and tried to keep my standing goal of no one passing me that I didn't pass back. I am happy to say, my record still stands and I passed everyone that passed me, including 7 people in the last two miles alone! I felt really good and surprisingly, won my age group with a time of 2:04:37 which I was happy with on such a hard trail and the day after a 6hr race. I finished 8th overall female out of 31and 32 out of 81 male/female. My prize was a stainless steel water bottle with the race logo which is MUCH better than a medal because I am a 'function' kind of girl. My prize for the QoM was a fleece vest with Queen of the Mountain and Uwharrie Rumble embroidered on it. The race promoter, On the Mark, was nice enough to keep the small vest that was already made and special order an xs for me! I hope they do the race again and that more people come out next year. Great race, great promoter, great trails and great food.